(Abu Dhabi) – The League of Arab States extended its sincere gratitude to His Highness Sheikh Mohamed bin Zayed Al Nahyan, Crown Prince of Abu Dhabi and Deputy Supreme Commander of the UAE Armed Forces, for his patronage and support for the First Arab Digital Economy Conference, which concluded in the UAE capital. The League also extended its appreciation to H.H. Lt. General Sheikh Saif bin Zayed Al Nahyan, Deputy Prime Minister and Minister of the Interior, for his support and leadership of all details of the vision of the Arab Digital Economy. “Choosing the Arab digital economy to be the focal point for the common Arab vision reflects the awareness of the magnitude of the challenges facing the Arab region in light of the pivotal role of modern technology in the development of societies and economies in general,” said the final statement issued by the Organising Committee of the event. 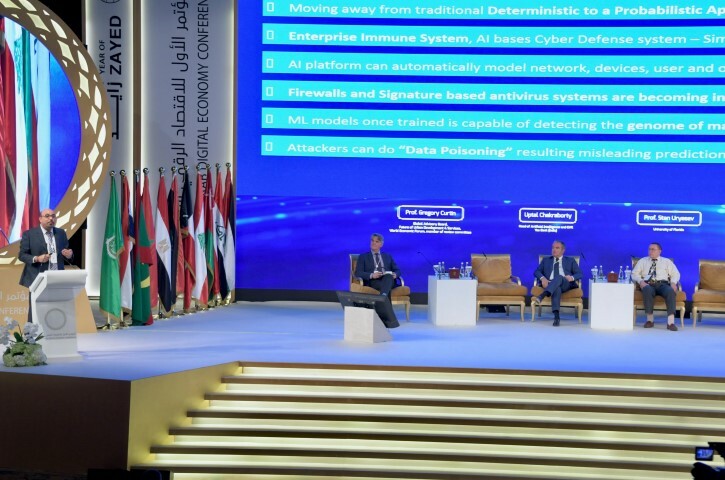 “The League of Arab States believes that investing in the digital economy paves the way to boost social, economic and political stability in the Arab World, ” added the statement. Following are the key recommendations and insights from the First Arab Digital Economy Conference: -Recognise that the digital economy can contribute more than $3 Trillion to Arab GDP growth. The importance of adopting the vision of the Arab digital economy for the growth opportunities of the Arab countries’ GDP is in direct correlation with the population growth in the Arab region and the objectives of improving the economic and social situation of our Arab communities. Currently, the digital contribution to the economies of the Arab countries is only 4% compared to 22% globally. -Encourage drafting of laws regulating the digital economy and policies for technological progress and digital transformation to ensure the inclusion of all Arab countries. -Formulate adaptable policies on the Arab digital economy from technological infrastructure, related policies and legislation, governance, digital skills, finance and inter-national capital. -Focus on the main axes of the strategy – digital infrastructure, digital innovation, digital governments, digital retail and digital citizenship, to ensure that the global sustainable development goals are met for the different sectors and fields. -Harness the sequencing of events from choosing where to begin and best starting points to ensure rapid progress and early success for the Arab digital economy and the mechanism for transferring and sharing successful models among the Arab countries. -Facilitate the amendments of the laws relating in a manner that keep abreast of the rapid development in the digital economy fields to build a common Arab information system among all Member States. -Launch awareness and training programs to enhance the capabilities of the Arab citizens to deal with advanced digital technologies and enhance the ecosystem of innovation and interaction. -Strongly advocate the coordination with the concerned bodies to restructure education in the Arab region to be more adapted to the future jobs in support of the Arab digital economy. 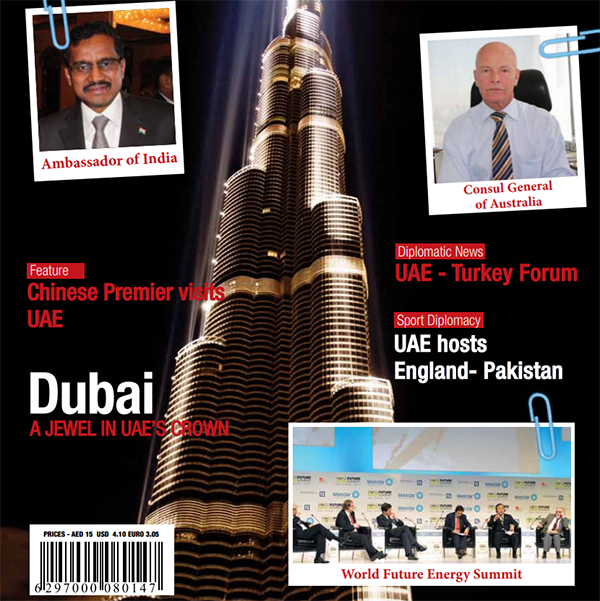 -The success of building a common Arab digital economy requires a unified Arab financial system. The Arab countries should upgrade and standardize their banking systems and financial transparency as one of the solutions required globally to promote the digital economy. -Create an environment in which all forms of digital information are available to all individuals and institutions, whether public or private, at suitable cost so that everyone can access the windows of digital economy enhancing the desired prosperity of the Arab communities. -Encourage the private sector to invest in the sustainable development of the digital economy by encouraging the use of concessional financing, investment guarantees, and improving the political and regulatory environment of private sector resources. -Consolidate the success of joint Arab action in building a competitive digital economy globally through the integration of the Arab countries and the concerted efforts of Arab governments to achieve this goal. -Continuous and constructive evaluation of the reconstruction of public institutions and their legal systems continues to elevate the roles of all Arab countries in all areas of the digital economy.